In the last few years Brooklyn has begun to rival Manhattan over who gets to be the best, and most interesting place to live in New York. For good reason, as Brooklyn undergoes a series of modernizations more and more excellent properties are becoming available. Since Brooklyn offers a more suburban New York life, extra space and privacy being the main attractions, there are a lot of people who are choosing to settle down in Brooklyn to build a family life. 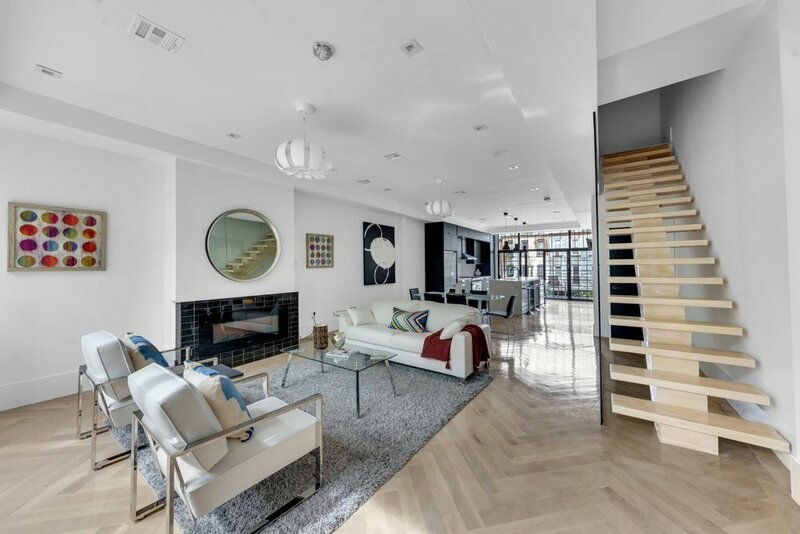 There are all kinds of different properties that are perfect for this butthis location on Covert Street encompasses everything you could ask of Brooklyn. Jump inside the 3D walk though without having to take a step through Brooklyn. To start off it offers a striking black brick face along, and to ensure you’ll feel secure it comes with smart house technology including security cameras, and a video doorbell. Covering 3 floors as well as having a sizeable basement, this property comes with 5 bedrooms and 5 bathrooms making it the right size for a family or two. Some other features of the property are a powder room in the cellar, northwest and southeast exposures, a fireplace, hardwood floors, as well as a large private backyard terrace. Upon opening the front door a buyer would walk into a kitchen-living-dining room fusion that’s naturally saturated with natural lights from the large windows sporting a 10ft’ ceiling, and herringbone floors. The kitchen section of the room features a large island, full marble countertops and high end refrigerator, microwave, and oven. Up a flight of floating stairs is the Master bedroom, its walk in closet, and its in-suite bathroom, as well as two additional bedrooms and a bathroom. Additionally the top floor features a 14ft’ ceiling perfect for a family of 4 or 5 to live in without feeling cramped. The ground floor is designed to be used by a second family to generate additional income, it includes 2 bedrooms each having its own closet space, and easy access to the floors 1 bathroom. The rest of the floor is taken up by a kitchen-living room fusion similar to what is upstairs, including the high end appliances. Additionally one of the bedrooms offers access to a veranda and the rest of the private backyard. As always though the most important information on any piece of real estate is location. Luckily this property on Covert Street is only a block away from Brooklyn’s Broadway and about 3 blocks away from the J/M/Z subway lines. It’s also only a short distance away from the Evergreen playground, Hyland Park, and the Tiger playground. is currently priced at $1,499,999 and you can contact Sara Golan or Ryan Serhant for more information.